Excellent transition through foot strike. DNA cushioning delivers the goods. Without a doubt, the Adrenaline series is loved by many runners.Unfortunately, I didn’t feel the love from the Adrenaline GTS 11. The arch was too low and I recommend it for runners with very low arches and flat feet. Moderate over-pronators, runners with flat feet. 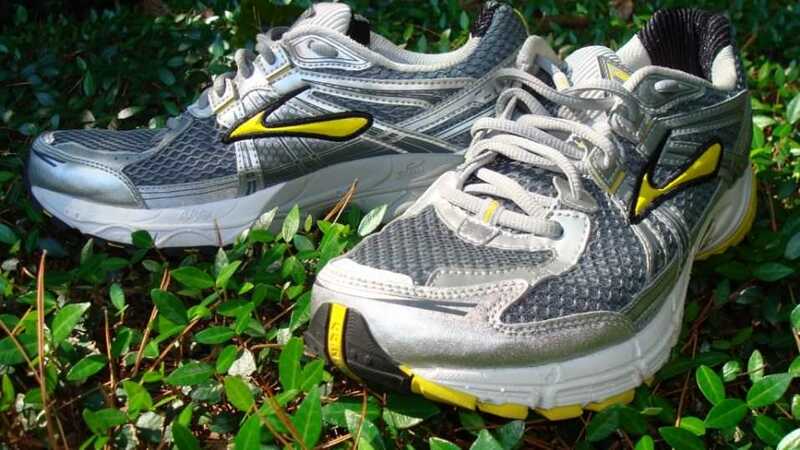 Brooks’ best-selling Adrenaline series enters into its second decade of production with a few upper tweaks and a new cushioning system while still aiming to satisfy the many runners who have come to rely on the aptly named Go To Series (GTS). Brooks builds the shoe specifically for the runner who needs extra stability in their footwear. The Adrenaline 11 GTS, like its predecessors, is built around the Brooks Progressive Diagonal Roll Bar (PDRB) medial posting and Diagonal Roll Bar Accel (DRB-Accel) mid foot shank. Medial posting is a section of firm foam found on the medial (arch) aspect of many stability class shoes. This construction technique is used to help control over pronation. Over pronation occurs when a runner’s foot lands and moves too far inward, often a cause of running injuries such as plantar fasciitis, achilles tendonitis and medial shin splints. Brooks actually employs three different densities of foam in the Adrenaline GTS 11 to help slow down the inward movement of an over pronator’s foot. The softest foam is found on the outside of the heel and progresses to the firmest foam under the medial aspect of the foot. The DRB-Accel midfoot shank is a plastic reinforcement for the midfoot area of the shoe and helps neutralize the twisting forces that an over pronating runner places on their footwear. The entire midsole foam is still comprised of Brooks Bio MoGo, a foam formulation that begins to decompose 50 times faster than traditional foams once it hits a landfill environment. However, the biggest news for the Adrenaline GTS 11 is the replacement of Brooks long-standing Hydroflow cushioning system with a new technology that Brooks calls DNA. DNA cushioning is geared to respond to the amount of force placed upon it and respond accordingly. During slower running DNA remains soft but when the pace quickens, DNA responds with firmer energy return. In the Adrenaline GTS 11, DNA is placed in the heel and forefoot. To further aid in cushioning and provide smooth transition through foot strike, Brooks has created a lateral caterpillar heel section for the GTS 11. This helps the shoe lay down one small section at a time, much like how its namesake insect moves. 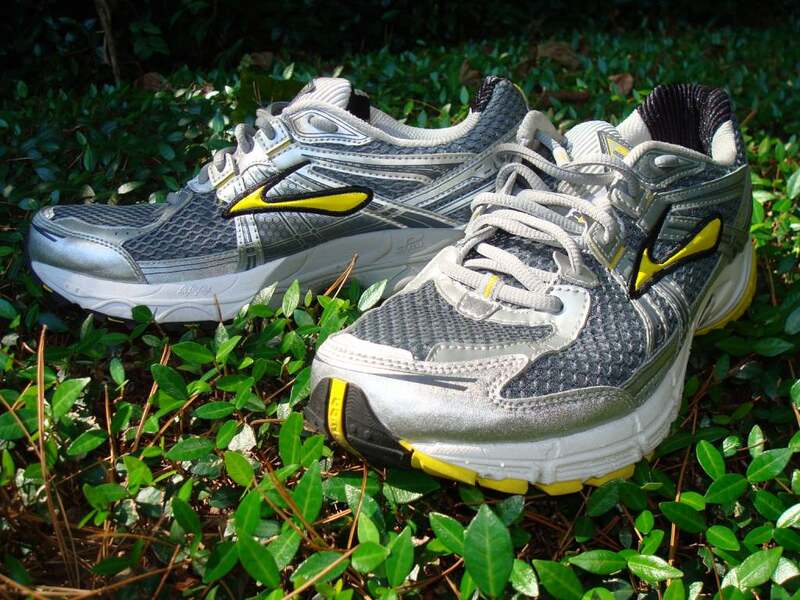 This technology is easily identifiable as Brooks color matches it to the logo on the upper. The Adrenaline GTS 11 upper now includes three new technologies designed to improve the fit of the shoe. Brooks has installed a lacing tab, named Tongue Tied, that prevents the tongue from sliding during running. The mid foot arch wrap has also been redesigned and now features four separate lacing tabs that attach to the upper via flexible straps, resulting in a more customizable arch fit. Also included is Brooks new Heel Cradle design which reinforces the heel counter and helps keep the foot centered on the platform. Reflective details are found on both the heel and forefoot to provide extra visibility during low light conditions. Rounding out the upper is a sockliner constructed from Bio MoGo foam. Without a doubt, the Adrenaline series is loved by many runners. I see them on people’s feet every day. Unfortunately, I didn’t feel the love from the Adrenaline GTS 11. On paper, the shoe looks like it would be ideal for me but when the rubber met the road it was a different story altogether. A stability shoe lives and dies by two things with me: arch placement and heel fit. On my first run in the GTS 11 I knew that the arch was wrong for my feet. If I wear a shoe with too low of an arch, I get fatigue and then pain in my posterior tibial tendon, especially in my left foot. The posterior tibial tendon runs down the inside of the leg and ends under the navicular bone in the foot. Its primary job is to slow down pronation in the arch of the foot. With the Adrenaline, my foot pronated too far inside the shoe before I engaged the PDRB resulting in early lower leg fatigue. The Adrenaline has an arch, but it’s just too low and too far forward in the shoe. If Brooks were to place the arch closer to the heel it would likely sit nicely under my navicular and take some strain off of it. Secondly, I couldn’t get a good heel fit in the GTS 11. I have a very average regular width foot and I rarely have issues with the fit of a shoe’s upper. It seemed as though the Adrenaline was bullet shaped; wider in the heel and narrower in the toebox. When I tightened the laces to secure the heel it ended up being too tight on the midfoot aspect of the shoe. However, I did find the Adrenaline GTS 11 to be a very smooth riding and quiet shoe. The DNA cushioning system felt more than adequate and I was impressed with the caterpillar heel section as it made for an easy transition. I also appreciated the shoes low profile feel, despite my issues with the heel fit. I can definitely understand why so many runners love this shoe but it is simply not the fit for me. 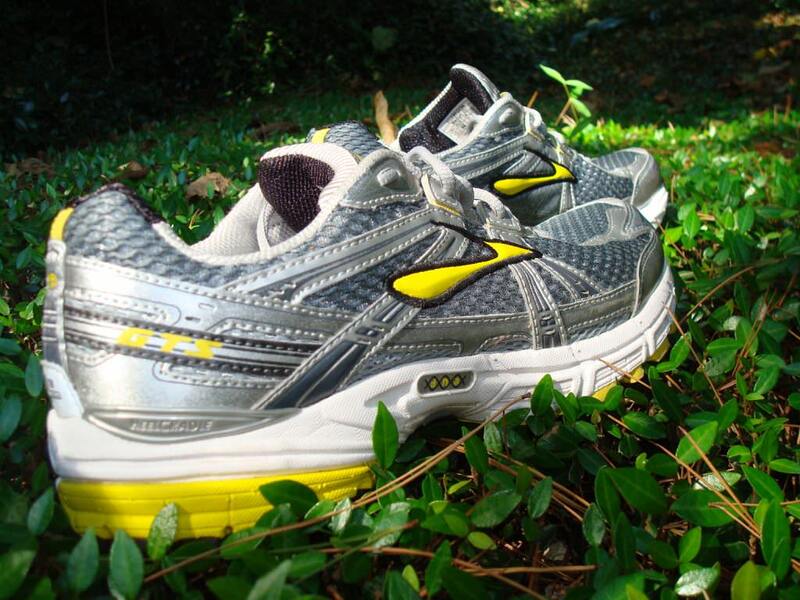 Best suited for runners with very low arches and flat feet. 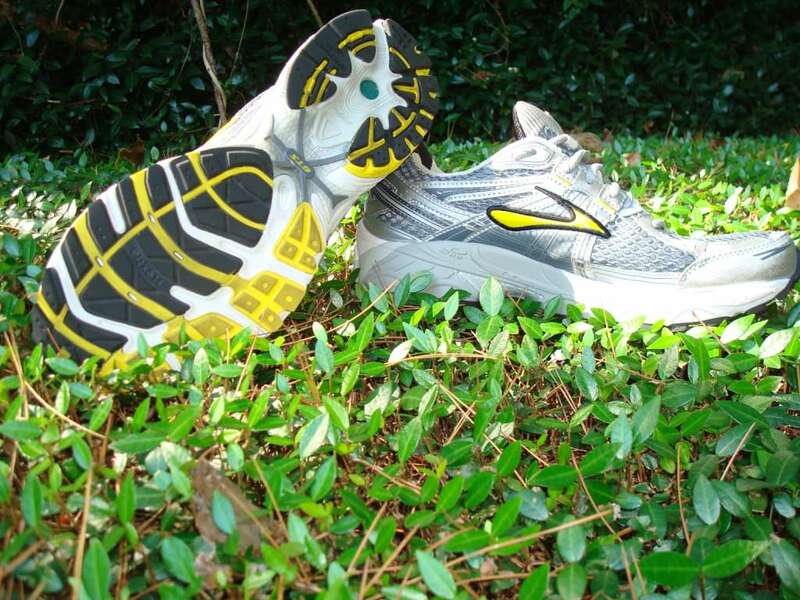 We thank the nice people at Brooks for sending us a pair of Adrenaline GTS 11 to test. This did not influence our review of the shoes, written by running more than 50 miles in them. Hey Norma, thanks for your comment! Theo indeed noticed a wide heel too. He swears by the Mizuno Inspire 8, which apparently has a snug heel fit. I personally have a great history with the Nike Structure Triax. Whatever you try, please come back and let us know! no i had to return them to the store because of these i have plantar feseitic!! Best shoe for me. I’ve tried other mild and moderate stability shoes, but I keep coming back to the GTS 11.